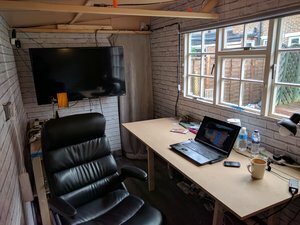 Some photos of the finished shed. Using OpenSCAD and a 3D Printed Scaled-down Shed. 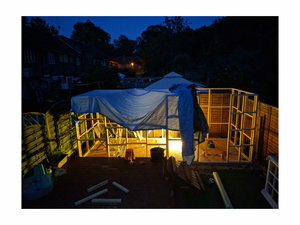 Detailed build log, mainly timelapses, videos and photos of the construction. Lots of opportunities to use my skills in 3D printing. Models, brackets, roof decorations including links to the stl files. 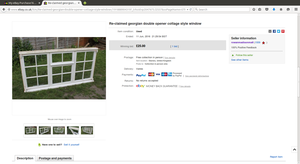 A Breakdown in the costs, including great eBay captures (reduce, reuse recycle). 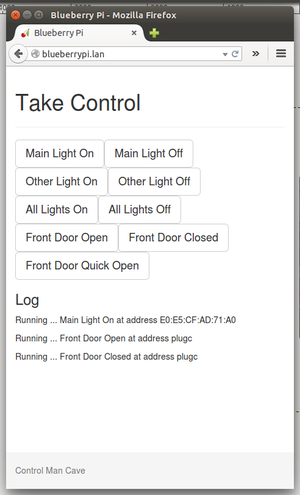 Details of how the Shed is automated, the code used to control light, locks and printers. Some timelapse videos of parts of the build.